Working on some projects for the next Brown Owls meet up on Saturday this week, if you're in Brisbane details are here. And for more spaces or to play along head here. They're very sweet. And I love the top pic. 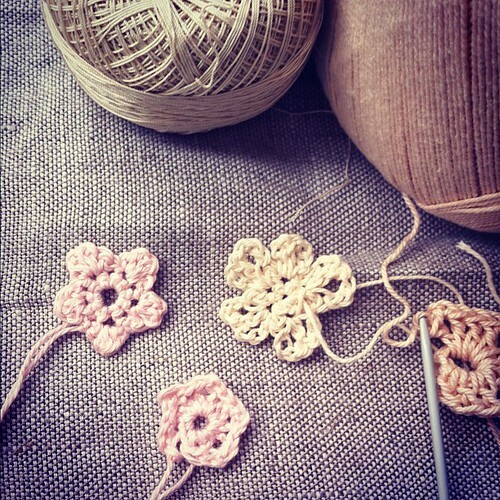 I must learn to crochet one day! That looks like a hat - its a great colour. What are you doing with the flowers - bunting? Book marks? Hat embellishments? They are rather addictive eh? 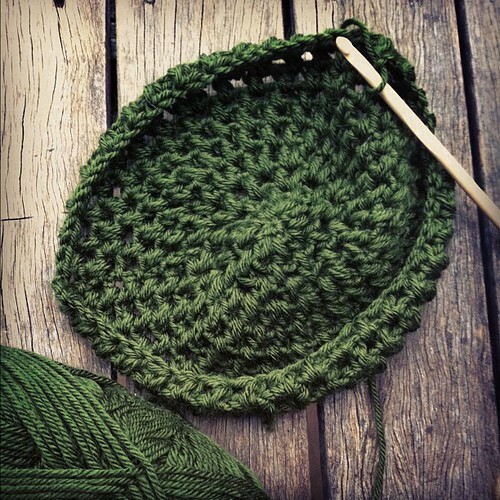 I can't wait to see the finished project from whatever your knitting with the green fabric.